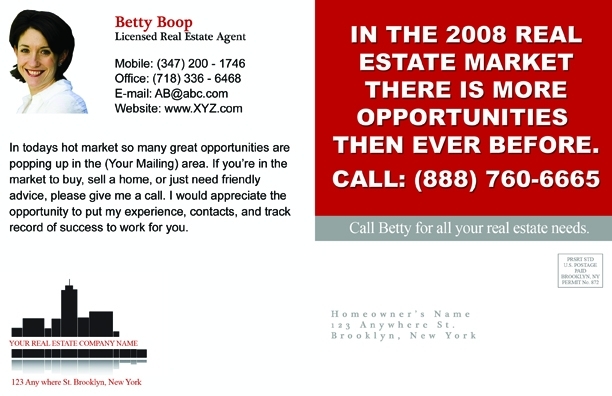 Design ID#533 - This postcard seems to open doors to lots of listings. It gives a sense of emergency yet in a subtle manner. 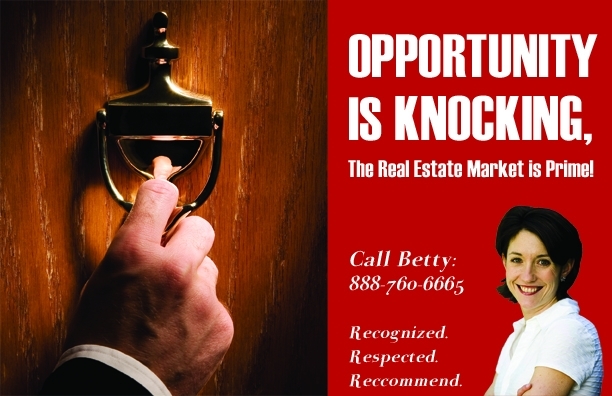 Picture everyone in your market area coming to you not just when it's time to buy or sell, but also when they have a real estate question or need some friendly advice. A true market leader.